Before we begin, we’ll just say that if you’re looking for an end-all, be-all diet and weight lifting training program, then you should definitely check out the free e-book Fat Loss Factor, found on the right sidebar of this page. This article has just a bit of information – that e-book has EVERYTHING though. Weight Lifting Routines – Why Should We Lift?! Doing more reps with at least moderate weight is beneficial for a number of reasons if you are looking for weight lifting routines to lose fat. Muscle fibers used when you do high reps are slow-twitch muscle fibers. They hold less glycogen so there is less glycogen loss during a workout if you do high reps. Keeping glycogen loss down is important for weight loss because this ensures metabolism is kept high. Additionally, increased lactate production during high-rep weight lifting routines supports the output of growth hormones, key hormones for fat loss. Slow-twitch muscle fibers also generally recover more quickly than their fast-twitch counterparts so it is possible to adhere to shorter rest periods, keeping your heart rate up during your workout for a more efficient fat-burn. Monday (Chest/Back) you are to do four sets with 15 reps each of decline bench presses, incline bench presses, flat bench presses, cable cross overs, dumbbell flies, stiff leg dumbbell deadlifts, hyperextensions, bent over dumbbell rows, t-bar rows, lateral pulldowns, and pull-ups. Tuesday (Shoulders/Abs) first, you are to do three sets with 20 reps each of Arnold presses, dumbbell presses, dumbbell lateral raises, and dumbbell rear delt rows. Second, you are to do three sets with 50 reps each of plate twists and hanging knee raises. Wednesday (Biceps/Triceps) you are to do three sets with 15 reps each of hammer curls, dumbbell incline curls, one arm preacher curls, kick backs, weighed bench dips, and push-ups. Thursday (Quads/Hams) first, you are to do three sets with 15 reps each of barbell squats, walking lunges, and leg presses. Second, you are to do three sets with 50 reps each of ab rollers, decline crunches, and crunches. Friday (Calves/Abs) first, you are to do three sets with 15 reps each of roman deadlifts, seated leg curls, and lying leg curls. Second, you are to do three sets with 30 reps each of standing calf raises, donkey calf raises, and smith machine reverse calf raises. Sunday you are also to do cardio and do some ab exercises… but we prefer rest day! 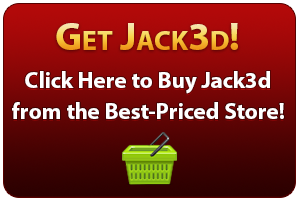 Mix Your Weight Lifting Routines with Jack3d for MAX Potential! There are different weight lifting routines you can consider but you will only really make the most out of each routine if you give it your all every time. And to do that, taking a pre-workout supplement like UPSLabs Jack3d will surely help. As a pre-workout supplement, UPSLabs Jack3d is formulated to maximize your strength, endurance, and energy levels so you can go all out with your weight lifting routines, keeping you focused and alert as well so you can keep going and going and going and get the best results from a weight lifting routine. UPSLabs Jack3d contains the following ingredients: L-arginine alpha-ketoglutarate (for efficient nutrient absorption), Beta alanine (for improved endurance), 1,3-Dimethylamylamine HCl (also known as DMAA; for improving cognitive function for better mental focus and boosting muscle capacity), Schizandrol A. (a stimulant for keeping you alert), caffeine (for better metabolism and energy boost), and Creatine monohydrate (for building lean muscle mass and boosting strength). This product does not contain any fillers so youll surely get the most out of every ingredient and every dose of Jack3d before weight lifting routines. Giving you the strength to do anything all weight lifting routines require strength. If you have what it takes, then you are sure to be able to do what a weight lifting routine requires. And as you do more, you are able to improve more, reaping benefits of weight lifting sooner as well. Jack3d also does not contain ingredients like magnesium and maltodextrin so you do not have to worry about substances that can potentially slow down your progress. Giving you the concentration to do anything you have to put your all into it if you want to benefit from a weight lifting routine. And to do that, you have to be prepared mentally as well so you can concentrate on the task at hand. Weight lifting also requires proper form and concentrating on what you have to do will let you do that. Aside from getting desired results, this will also ensure that you are safe at all times while doing weight lifting routines. Giving you the ability to recover properly weight lifting does a lot of wear and tear on your muscles so rest is important. Rest will allow muscle fibers to repair themselves and grow, giving you the kind of bulk you are looking for. The more quickly you recover too, the sooner you can get back to your routine so you can do more lifting. And the more lifting you do, the more of your desired results you can expect to achieve.